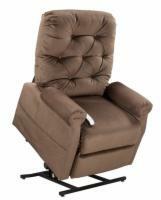 We find many of our customers are confused by the term 2 position lift chair. They believe a 2 position lift chair , for example, can only achieve 2 positions... its normal and reclined positions. This is far from the truth. The 2 position classification means that the lift chair can recline to approximately a 45 degree angle, but it can also recline to any position up to that point. You aren't locked into only 2 positions. In addition it also will lift up to provide the intended purpose of placing the user in a standing position. The chairs operate by a motor and are controlled by using the hand controller supplied with the lift chair. These are fully automatic lift chair recliners. 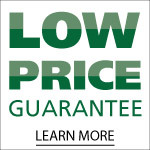 We offer both Pride Lift Chairs and Golden Lift Recliners.